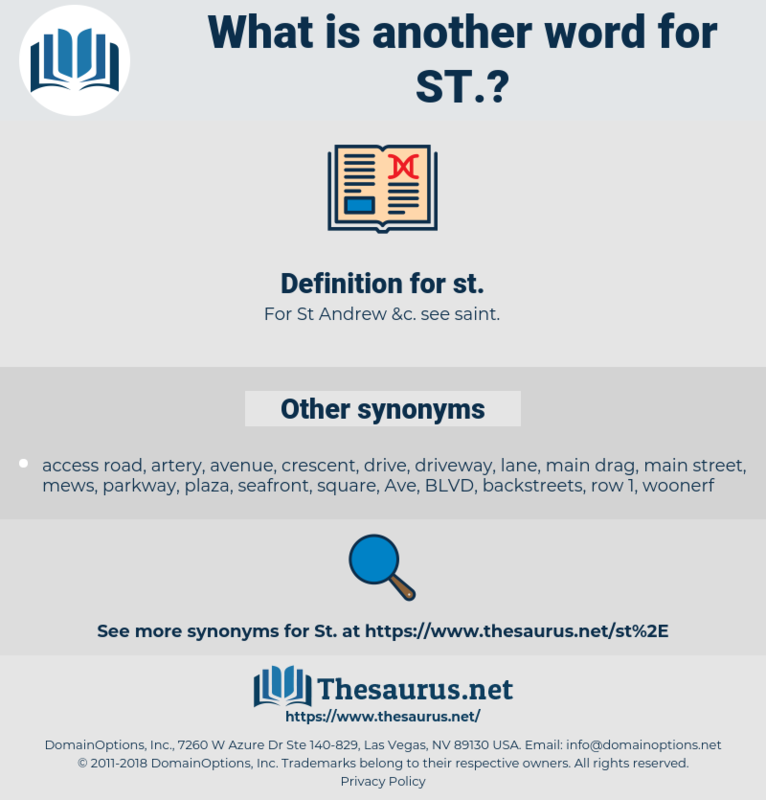 What is another word for ST? A contr. 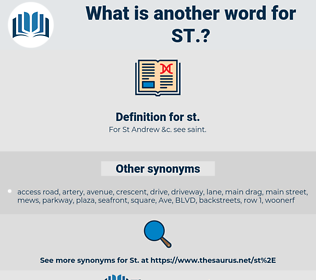 for street or saint. reports, Nas, GS, sankt, street, SINT. It was nearly two when they came to St. Paul's and turned the corner to the gate. The Duke of St. James, Mr. Dacre!